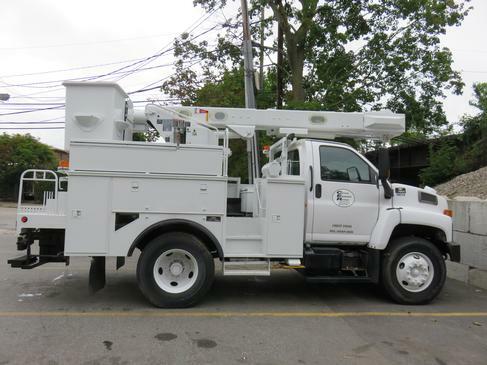 Altec L37MR is an insulated, elbow style boom with a single rotating fiberglass basket. Material handling jib and winch with 850lb lifting capacity. Utility body. Great unit for parking lot lighting, pole setting. All certifications current. Work ready.